Havens Are Turning Hellish For Tax Avoiders The U.S. and other countries are cracking down on banks that are known to help clients hide their assets, and the international push is beginning to have a major effect. A man enters a UBS bank in Hong Kong last month. The Swiss banking giant agreed in 2009 to identify the names of its U.S. account holders, part of a push by banking regulators to make it harder to hide income. Time was that a Swiss bank account was synonymous with confidentiality and keeping assets from prying eyes. No more. Last week, Switzerland's oldest bank, Wegelin & Co., pleaded guilty in a New York court to helping Americans hide $1.2 billion from the Internal Revenue Service over a decade-long period. Wegelin's plea, and a $57.8 million fine, forced the bank to shut its doors. It follows a $780 million settlement with UBS in 2009 that forced the Swiss banking giant to identify the names of its U.S. account holders. The prosecution of the Swiss banks is part of a U.S.-led international push that has been building for years. It takes advantage of newly enacted U.S. law and freshly negotiated bilateral tax treaties and global protocols. Patricia Brown, an international tax expert and former Treasury Department official who now heads the graduate tax program at the University of Miami School of Law, says the effort is aimed squarely at shutting down offshore tax havens and secret accounts, illegal under U.S. law, ranging from the Caribbean to Europe and Asia. "The number of places where people can hide is getting much smaller," says Brown, who was the Treasury Department's deputy international tax counsel between 1999 and 2008. "It's getting much harder for countries like Switzerland to thumb their nose at the U.S."
Although Switzerland, as the world's largest tax haven, has come in for particular scrutiny, the pressure is also being felt in the Cayman Islands, Barbados, the Bahamas and Singapore, all of which have in the past been prime destinations for secret cash. Stephen Shay, a professor at Harvard University, says the effort to clamp down on secret offshore money gained steam from UBS's illegal activities and the case of Liechtenstein's LGT Group, which was been under investigation since 2008 for allegedly hiding millions of euros on behalf of German tax evaders. 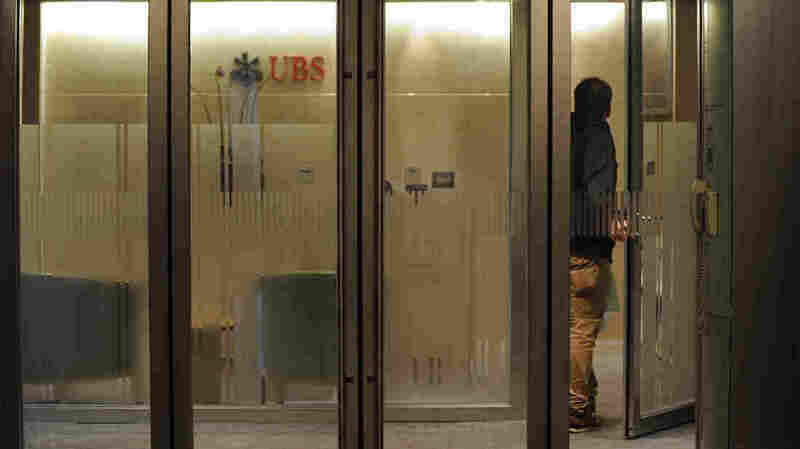 The UBS settlement in turn bolstered international efforts to clamp down on tax havens — many of which have agreed to undergo review to promote transparency. "Countries are almost universally agreeing to exchange tax information," says Shay, who like Brown is a former high-ranking Treasury official. "The signal seems to be that it doesn't matter where you move your money, we can still get you," he says. "This signal is being heard not just in Switzerland, but in the Caribbean and the Far East." With FATCA it's going to get a lot harder for anyone who chooses to forgo the voluntary disclosure route, he says, because U.S. banks will be reluctant to deal with any foreign bank that doesn't comply with new disclosure rules. "Bank secrecy is essentially eroding before our eyes," Michel says. "I think the combination of the fear factor that has kicked in for not only Americans with money offshore, countries that don't want to be on the wrong side of this issue and the legislative weight of FATCA means that within three to five years it will be exceptionally difficult for any American to hide money in any financial institution." Asked whether the end is near for the tax haven, the University of Miami's Brown laughs. "I wouldn't go that far," she says, "but I would say there has been progress in the last five years that I would have expected to take 15, at least." Harvard's Shay credits the recent push for greater disclosure partly to the 2008 financial crisis. Lack of transparency at the banks was a major contributing factor to the crisis. Now that governments have leverage to demand changes, they aren't about to give it up. "I am hopeful that we are in the process of seeing a sea change," says Shay. "You have to keep the pressure on at all times, but we are in a very, very different place than we were pre-UBS."